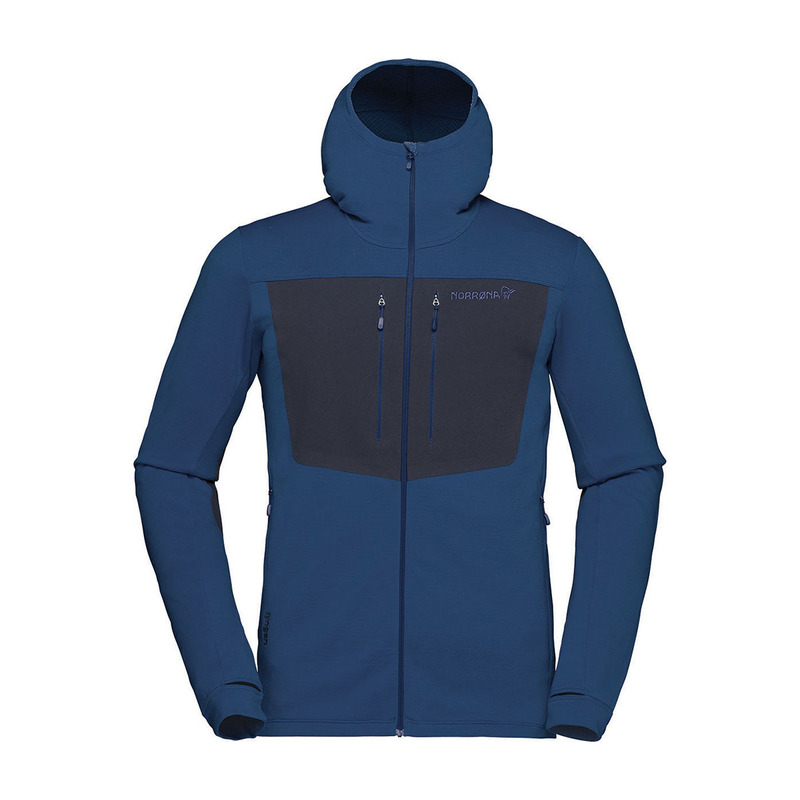 Moisture-wicking and highly breathable, the Norrona Lyngen Power Stretch Pro Hoodie features an integrated face mask to protect every inch of exposed skin when the wind begins to bite. And it stows snugly behind your neck when not in use. This softshell jacket is made from Polartec® Power Stretch®, offering high levels of flexibility, air permeation, and fast-drying times. With extra, low-key protection, the Power Stretch Pro Hoodie is ideal for any alpinist, mountaineer, or trekker seeking a jacket that can give them full protection when they need it most. Fabrics with stretch tend to lose their elasticity after repeated stretching and contracting, leaving clothes baggy and loose in places where they once fit snugly. Polartec® Power Stretch® is engineered with a tensile resilience that ensures its reinforced elastic fibres consistently rebound after every stretch, guaranteeing your clothes always fit like the first time you put them on. Moisture-wicking, highly breathable, and this fabric also features silver salt chloride to help combat bad odours developing on the fabric. Always made from a minimum of 50% recycled materials.